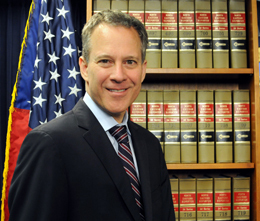 NEW YORK (Legal Newsline) -- New York Attorney General Eric Schneiderman on Friday announced an agreement with the Middletown Police Department, ensuring full access to law enforcement services for residents. Under the terms of the agreement, the Middletown Police Department will improve its language access policies for residents who are limited English proficient. The agreement will make sure officers in the department are able to provide translation and interpretation services when needed. The department serves one of the state's fastest growing immigrant populations. "Access to effective law enforcement and police services should be available to every New Yorker, regardless of their ability to read or write English," Schneiderman said in a statement. "Our office's agreement with the Middletown Police Department demonstrates the efforts necessary to make certain that the delivery of police services is not compromised by language barriers." The agreement requires the department to provide all necessary translation and interpretation services for witnesses, victims and subjects, take meaningful steps to identify bilingual officers, conduct training for new and current officers regarding the revised language access protocols and policies, make translated materials and public notices available, and convene regularly with Schneiderman's office to discuss the progress in implementing the language access program. According to census data, nearly two and a half million New Yorkers do not speak English as their primary language and more than 18 percent of Middletown's residents speak English "less than very well."